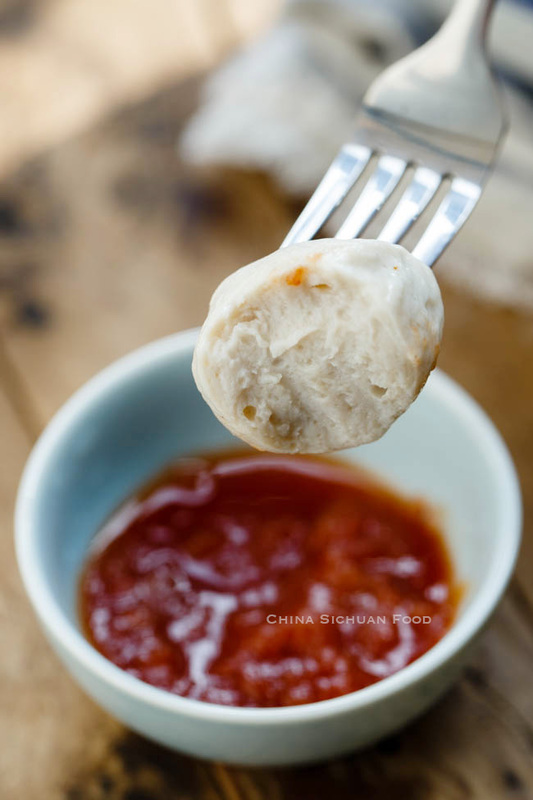 Making smooth, tender and yummy traditional Chinese fish balls at home is quite changing but it really worth the efforts. When talking making a curry fish balls or fish ball soup, the first ideas come to my mind is purchasing a store bought fish balls. The idea of making those fresh balls at home never come to me previously until I get fresh mackerel shipped in this winter. Food is a good record of life and I know it is the best time to start the journey. 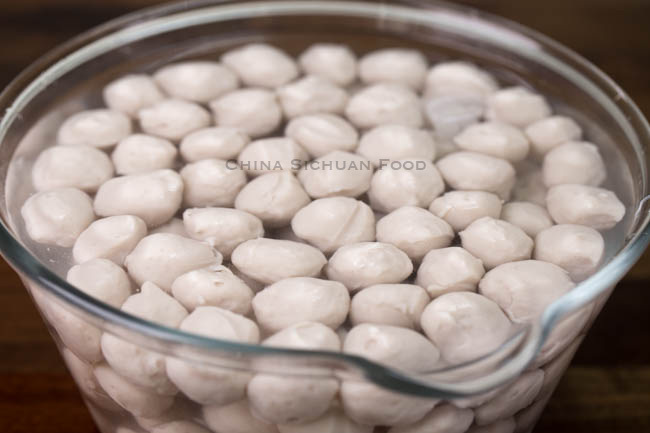 In order to make the perfect traditional Chinese fish balls, I have consultant with several foodies from Chou Zhou, which is believe to be the origin area of fish balls. area of origin. And finally I started my journey. 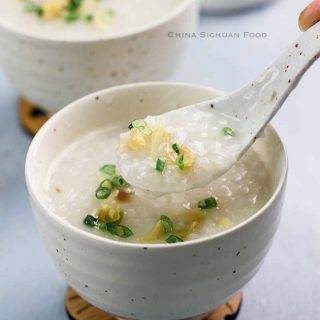 I have tried to use fresh water fish to make the fish balls, but all of them comes out with a powdering texture and do not as elastic as expected. So the first step is to choose the right type of fish. 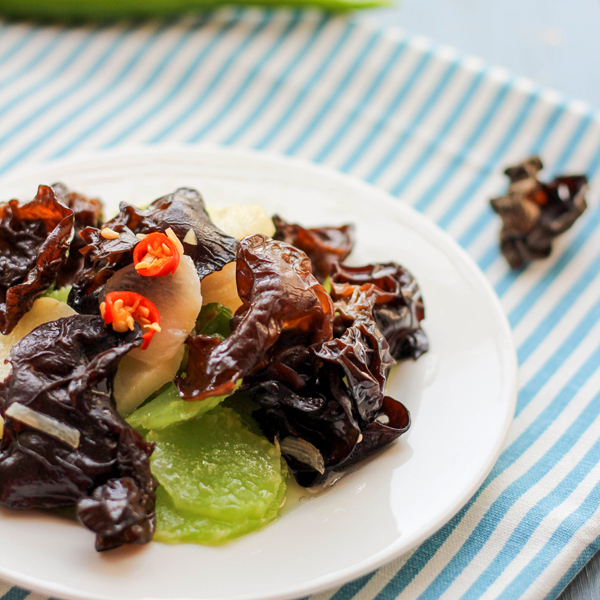 In generally, all types of sea fishes with high gelatin can work for traditional Chinese fish balls. 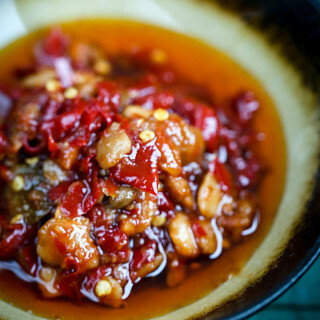 In China, we love to use eel and mackerel. So ask your local fishing man and try to find a similar type. What types of fish should I choose – In theory, only type of fish can be used to make fish balls. However, the best options should be always fish with more glutens and less bones. So shark, eel and mackerel are and the most popular types of fish balls. How much water actually needed? 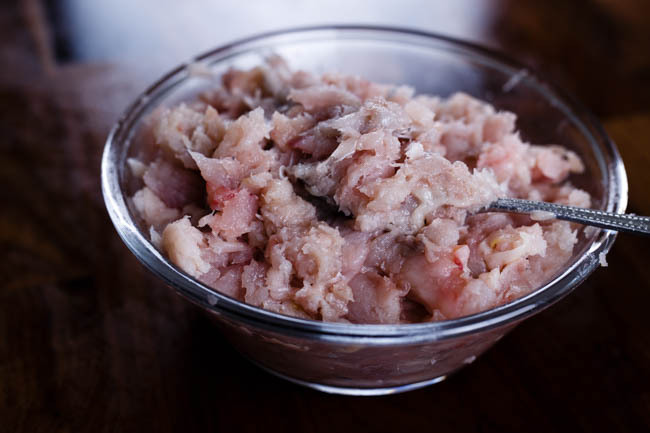 —the water amount needed for a successful fluffy fish paste is depending on the water content contained in the fish meat. Fresher fish usually needs less water. But please do not scared by the uncertainty. We can check the fish paste from time to time and figure out the best balance. This recipe is based on frozen mackerel. 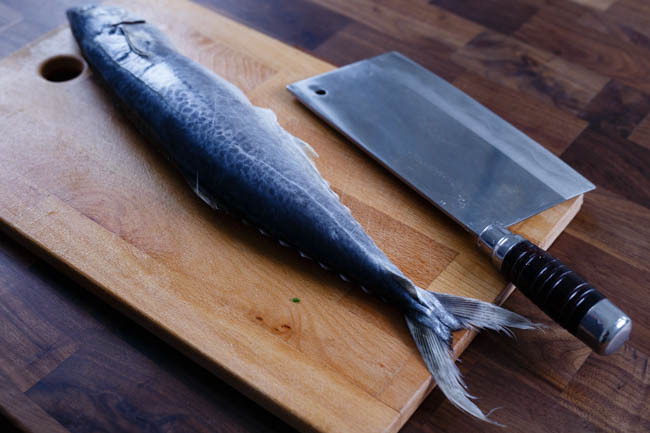 If you use fresh mackerel, you may need 300ml to 350ml water totally. The ultimate guide for testing where the fish paste is ready is to do the floating testing. Scoop a small amount of fish paste and throw into water, it should float quickly. If it sinks, add another 2 tablespoons of water and continue blending at high speed for 2-3 minutes and repeat the testing. I understand this is quite confusing, but it is quite easy after you making the first batch. Whether starch is necessary? — It is 100% ok if you want to skip starch. 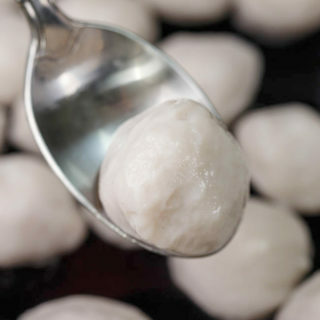 However, adding some starch especially tapioca starch can make the balls more elastic. 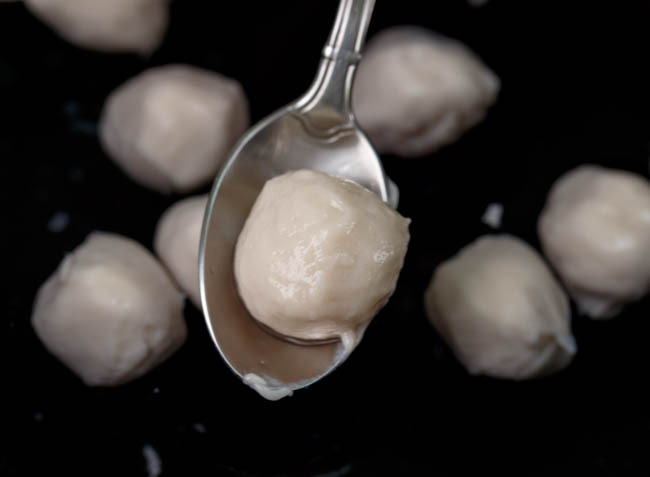 Store bought fish balls contains a large portion of starch, at least 30% of the net weight. But if you are making those balls for children, pure fish meat can produce yummy fish balls too, but the mixture requires less water. 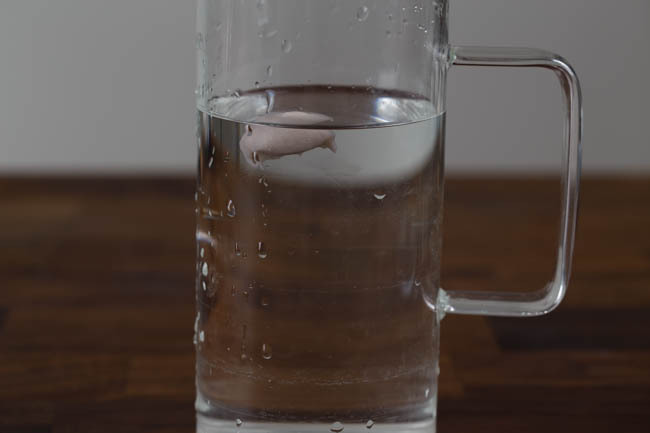 around 350g or 400g iced water, divided (200ml for smashing and 150ml +50ml for blending), the water amount is highly depending on your type of fish and the freshness. Start with the lower 350ml level. Cut the head and tails off and then separate the fish into two fillets. Use s scoop to scoop off the meat. Save the head and tails. They can be used to cook a fish stock. In summer days, please pre-frozen the fish and egg white for 1 hour until well chilled. Prepare 400ml iced water. 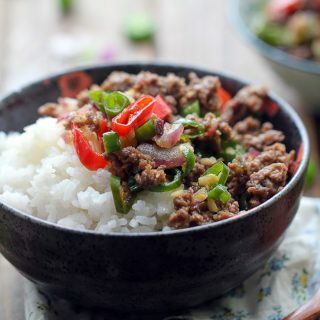 Place fish meat, cooking wine and 200ml iced water into a food processor and then mix with slow speed until well smashed. 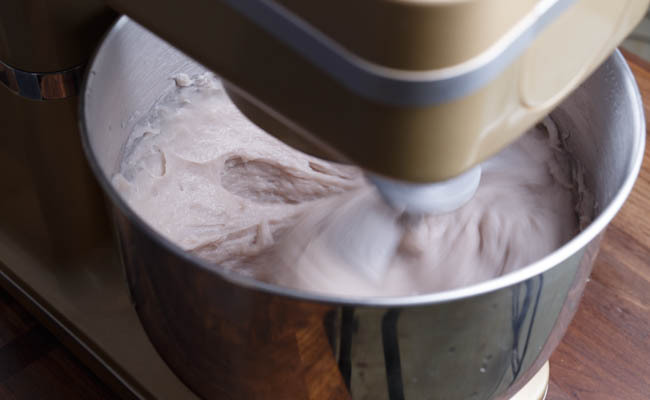 Transfer the fish meat to a stand mixer, use the mix hook. Add salt and sugar and continue mixing for 2 to 3 minutes at slow speed. Slowly add egg white and mixing until well absorbed at slow speed too. Add 1/4 cup of iced water each time until all of the 150ml water is added and absorbed. 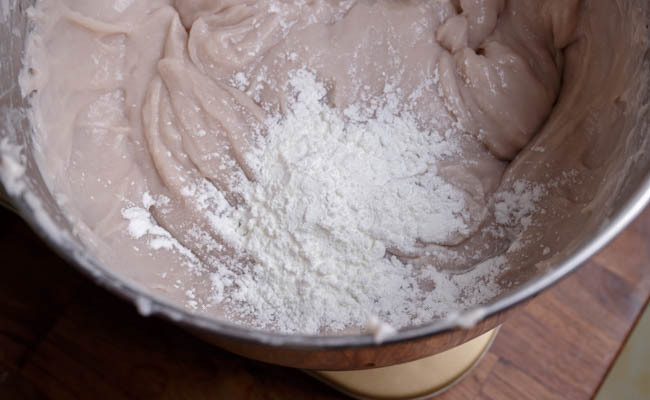 Then use high speed to blend the mixture for 10 to 15 minutes until the paste becomes very fluffy like cream. Add starch and 50ml iced water alternately until all of the starch is added. Then blend with high speed for 5 minutes. Then start the floating test. Testing the fish paste: prepare a high cup with enough water, use a small scoop and take out a small amount of fish paste out. Dip to the water and see whether it floats on surface. If yes, start the next step. 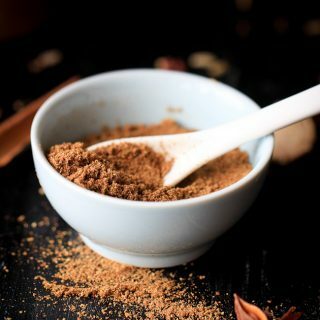 If no, keep adding around 2 tablespoons of water each time continue blending at high speed for another 2-3 minutes. 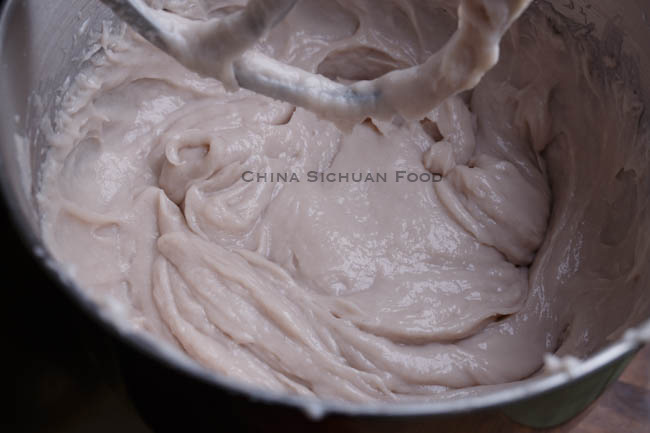 Retest the fish paste and repeat the process until it succeed with the floating testing. Shape the balls: prepare a large pot with enough cold water and a small cup of clear water for wetting the scoop. Grasp some fish paste on left hand and hold a scoop with the right hand. Shape the paste to a ball with the help of left index finger and thumb. Dip the scoop into clean water and transfer the fish ball from the left hand. Dip the scoop into the water in the large pot and gently slide the fish balls to the water. They will float up quickly. If you plan to finish the balls within 2 days, soak then with cold water and place in fridge. 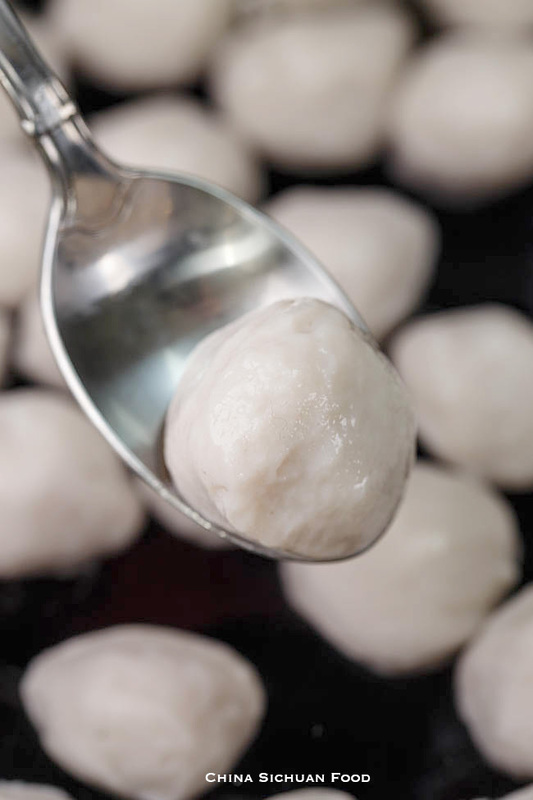 For a longer storage: cook the fish balls with warm water (not boiling water) until floating. Then transfer out and cool down. Package and frozen up to 1 month. Iced water 400g + more if needed ,the water amount is very much depending on the type and freshness of your fish So it is better to start with the lower level of 350g. In summer days, please pre-frozen the fish and egg white for 1 to 2 hours until well chilled. Prepare 400g iced water. 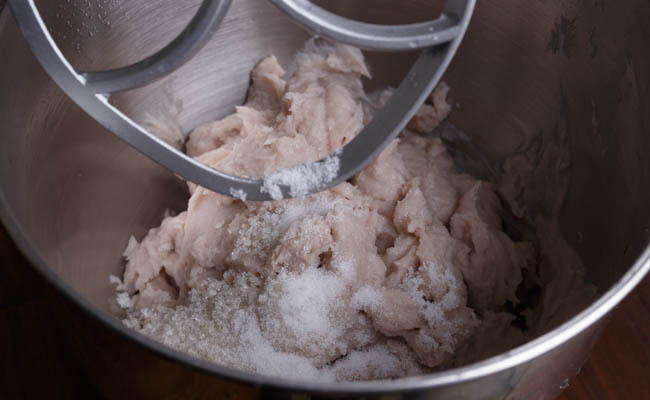 Smash the fish: Place fish meat, cooking wine and 200ml iced water into a food processor and then mix with slow speed until well smashed. 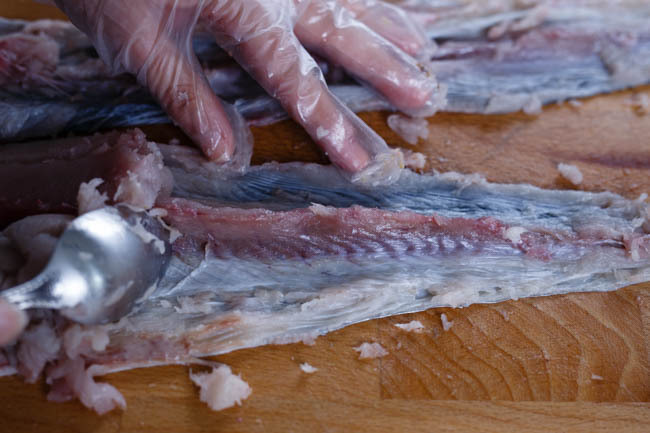 Transfer the fish meat to a stand mixer, use the mix hook. 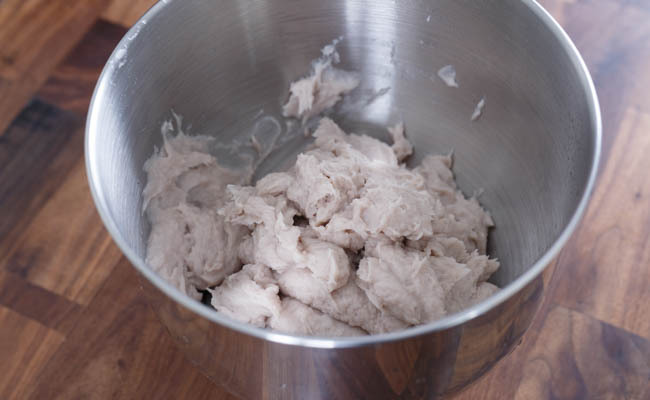 Mixing the paste: transfer the fish meat to a stand mixer, use the mix hook. Add salt and sugar and continue mixing for 2 to 3 minutes at slow speed. Slowly add egg white and mixing until well absorbed at slow speed too. Add starch: Add starch and iced water alternately until all of the starch is added. Re-peat the testing once again to make sure the paste can float on the water. Testing the fish paste: prepare a high cup with enough water, use a small scoop and take out a small amount of fish paste out. Dip to the water and see whether it floats on surface. If yes, start the next step. If no, continue blending the mixture at high speed. Shape the balls: prepare a large pot with enough cold water and a small cup of clear water for wetting the scoop. Grasp some fish paste on left hand and hold a scoop with the right hand. Shape the paste to a ball with the help of left index finger and thumb. Dip the scoop into clean water and transfer the fish ball from the left hand. Dip the scoop into the water in the large pot and gently slide the fish balls to the water. They will float up quickly. 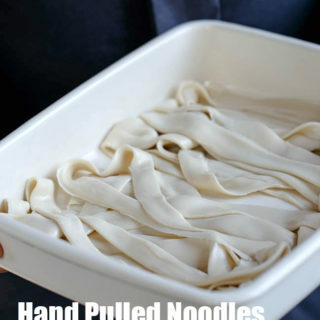 Soak the fish balls for 1 hour to make them more elastic. You can cook them directly now or fridge them with water up to 2 days. 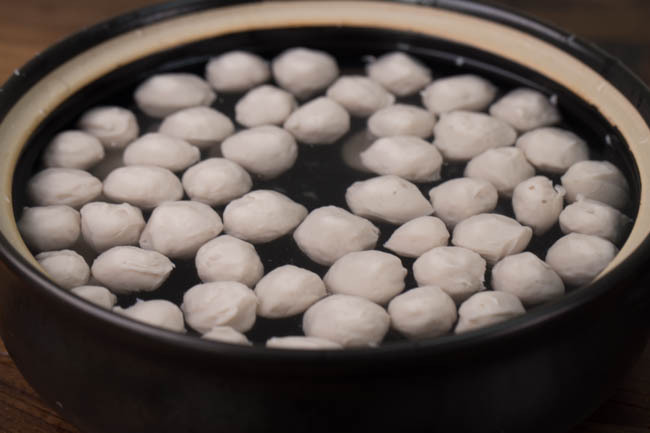 For large batches which need to be frozen fro later usage, cook the fish balls in warm water (80 to 90 degree C, not boiling) for 2-3 minutes until floats. Transfer out and cool down. 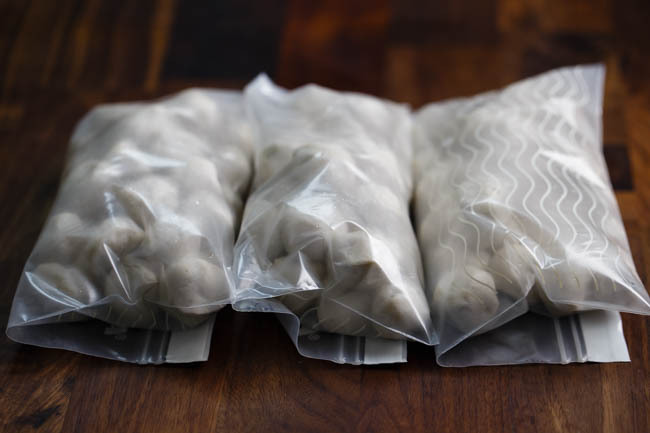 Package in zip bag, squeeze extra air out and frozen up for 1 month. The Nutrition Facts is based on every single ball. Thank you for such detailed instructions and photos! ! I’m really looking forward to trying this out. Can you elaborate more about the amount of water used? 2)at mixing stage (using mixer): how much do you add? 100ml, 150ml or 200ml? 3)At optional stage when you add 4 tbsp corn starch: how much water do you have to add? I add 200ml in the smashing stage and then use 150ml in the mixing stage. The water amount can be very much depending on the type of the fish and the freshness. Fresher fish contains more water. Then I add the cornstarch and the extra 50ml of water. After adding the cornstarch, we need to test the paste. If it can floats in water, continue to shape, otherwise add 2 tablespoons of water and continue mixing and repeat the testing until succeed. When I did the float test the fish balls floated but also started to fall apart. What did I do wrong? Is it falling apart or sinking? 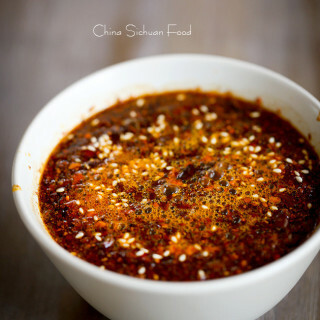 Interesting recipe, I hop to make this in the future. 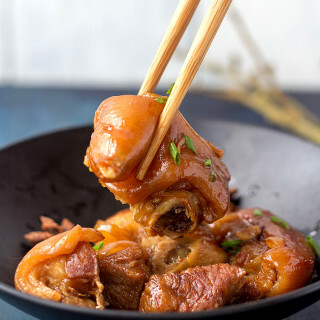 In Thailand, fish balls are made at home using freshwater Feather Back fish, reason is the flesh is pretty much mush and is scraped out of the skin, small bones included then minced with a cleaver for several minutes, shaped, and boiled or grilled, the heat softens the bones to where they are not even noticed. I look forward to making your recipe as listed. We use freshwater too, in many mainland cuisines. I find very similar product in my husband’s hometown. But using sea fish is much easier. fish cake? Anyone can give me a receipe? 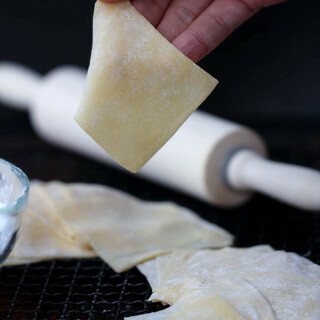 You are refer to how to make fish balls in order to make your own fish cake. I use manual smashing for smaller batches too. Hope it works out great for you. Have you finish the floating test?